In a world led by technology, there is no way for disabilities to limit your exposure. Alibaba, the e-retailer giant, has come up a with a technology solution that lets blind people shop at ease. 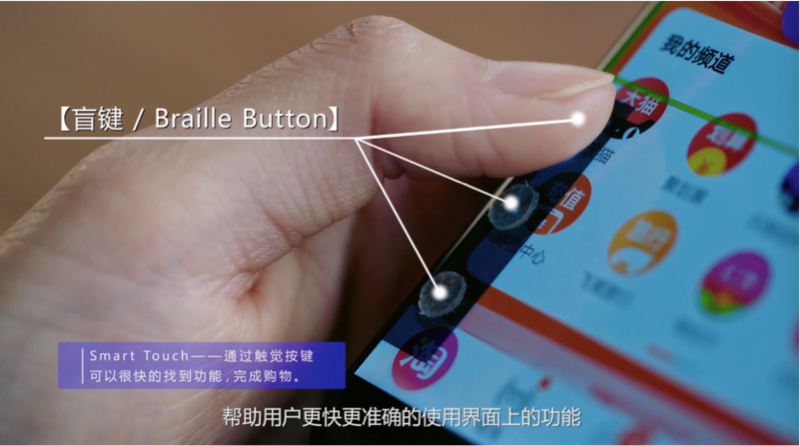 Alibaba introduces a smart screen that can help blind people shop easier than ever before. About a year ago, Alibaba announced that it would invest more than $15 billion in an initiative that supports global research and development. The company named this initiative as Alibaba DAMO Academy. The program initially involved 100 researchers to increase technological collaboration, worldwide. 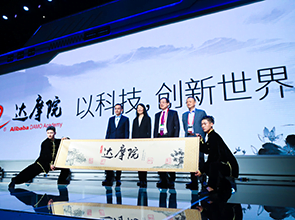 The academy was led by Alibaba Group chief technology officer, Jeff Zhang. The Research Academy is functional and collaborating with many universities for over a year now. Finally, after a year of the joint effort with Tsinghua University, DAMO has introduced a cheap silicon sheet that aids blind people in carrying out smart-phone operations. This cheap sheet has three sensory-enabled buttons on each side of the screen. Users can perform certain BASIC operations by pressing on these buttons. These shortcut buttons are designed in a hope to make the process easier for the blind. These buttons are designed to reduce the risk of clicking the wrong things. Also, they help avoid the long and complex operations that are performed to get a task done on the smartphones. Previously, the human-machine interaction for the blind was possible through the voice control devices. Just broadening the concept brought in this amazing Smart touch interaction. This smart touch is nothing but a different way of interacting with the machine just as the voice controls devices previously did. Smart touch also helps blind people listen to the text once they hold the screen close to their ears. It prevents them from the need of listening to the text on headphones or speakers. “We thought, human-machine interaction can’t just be for sighted people, besides voice, touch is also very important to the blind, so we decided to develop a touch feature,” says Chen Zhao, the research Director at DAMO Academy in an interview to TechCrunch. Smart Touch is currently rolling out on the two flagship apps of Alibaba, Taobao, and Alipay. Later, the company aims at making the technology widely available on other applications too. This can be done by making some minute changes on other applications for the integration purpose. Currently, the app is in the trail or test phase with over a hundred visually impaired people. Finding limited people to test on makes this process slow and difficult. However, the smart touch is expected to roll out in 2019 after the silicon film is thoroughly tested. Technology is making this world a better place for everyone to live in. What do you think?